of good stewardship. Here, Central Virginia HOME shares a prime example of such modern sensibilities. 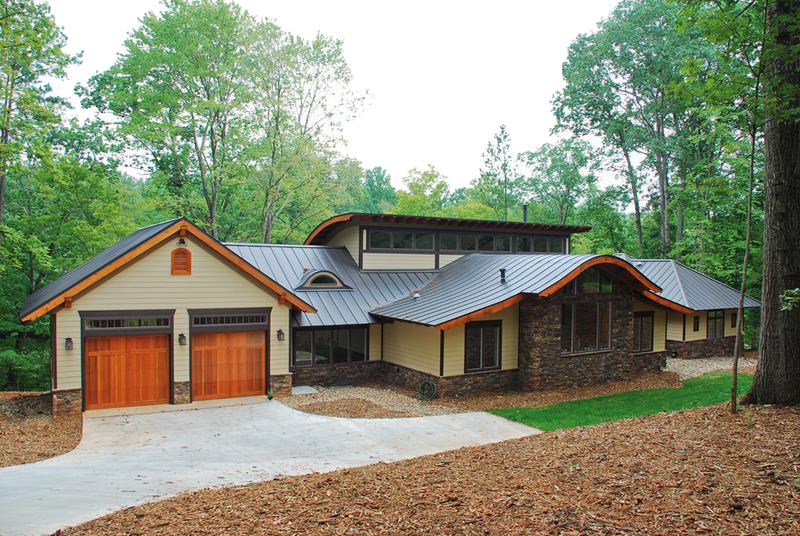 Preserving the natural beauty of a wooded lot, bringing the outside in, employing energy-efficiency at every turn and not wasting even an inch of space all make this home a remarkable example of what thoughtful home design can achieve. To create this home, Custom Structures’ graduate architect Joshua Marsh first called upon the basics of contemporary design while also bringing lessons learned from previous experience. The result is a mix of traditional and contemporary design, calling into play the use of symmetry, space allocation, exposed structures, large spans of glazing and an unusual bell-shaped curve roofline. All professionals and craftsmen involved worked hand in hand from planning to completion, and the outcome is a home that blends seamlessly with its surroundings. 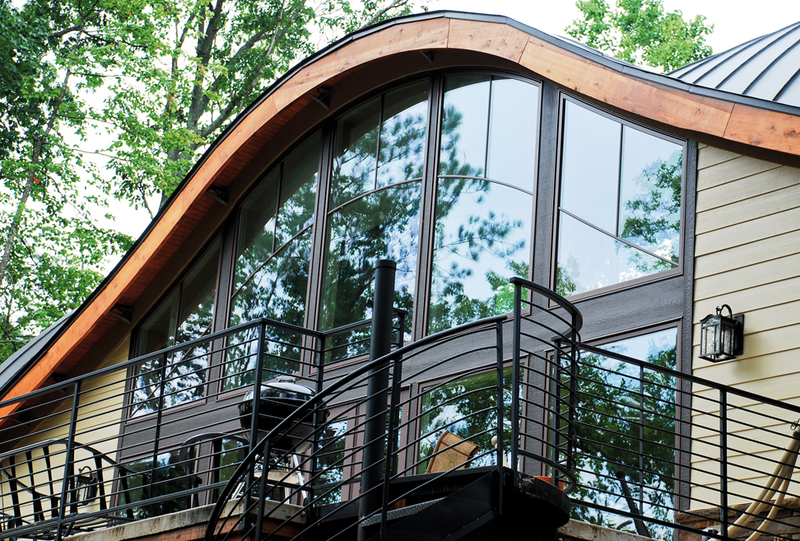 While the mature hardwoods and a lakeside view made the setting for this contemporary home an ideal match, the site was not without challenges, says Custom Structures’ Jimmie Campbell, who was in charge of the construction end of the project. The oak trees were one issue and it was difficult but not impossible to work around them. The home’s footprint blends into the natural topography of the land, and thanks to careful planning and grounds work, most of the trees were saved. In addition, Custom Structures had to overcome a huge grading problem at the building site. The property dropped dramatically towards the lakeshore. Terracing created a more gradual grade and compensated for the steep drop. Instead of grass, contoured slopes are landscaped with an extra-thick carpet of mulch and extend to the lakeshore. The lack of grass translates into no lawn care, making mowing and weed control unnecessary. At the entrance, large stepping stones introduce a natural walkway leading to the front door. Exterior features include teak wood on the balcony, ironwork railings, HardiePlank siding and rafters of cedar and tongue-and-groove pine. Dutch Quality stone in many hues of pink, purple, plum and grey contrast with the neutral tones of the stucco trim. French drains control the water flow from the roof. A patio off the great room extends toward the lake and another circular staircase leads to the grounds. The home was designed with a common space in the central portion and private areas in wings, including the master bedroom suite and children’s rooms. A lower level holds a workshop, office, extra bedroom and in-law apartment. 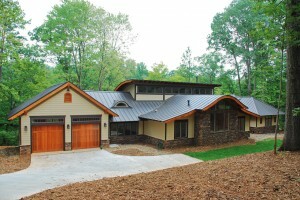 Energy efficiency is key to this home. Its passive solar energy system relies on the sun’s position as it shines into the home for temperature control. Clerestory windows, which reach toward the roof line, provide sunlight. 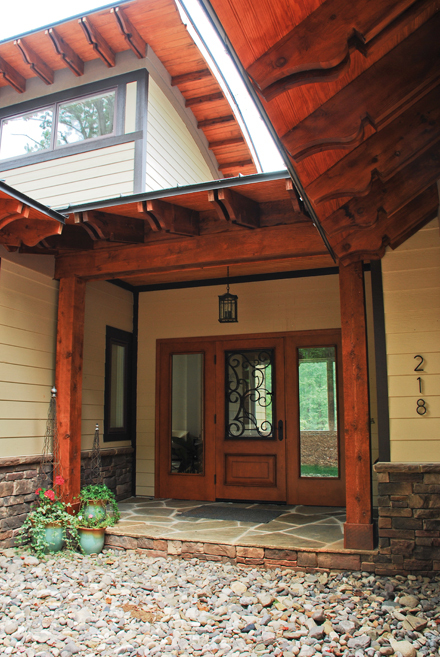 The overhang’s design is calculated to keep the sun out in the summer. It is long enough so the house does not heat up. During the winter months, when the sun is lower, the windows are positioned at the proper angle to allow the sunlight to enter. A floating floor with radiant heat provides an extra-comfortable walking surface. Additional heat is generated from a geothermal heat pump, and solar light tubes were installed wherever possible to bring natural light into the house. Jimmie Campbell explained that the walls are thick. Known as ICF walls (insulated concrete forms), they are made of foam filled with concrete. Known for their high-energy efficiency, they offer superior insulation and also result in an added benefit of deep windowsills. Simplicity and avoiding wasted space are very important design elements. Every room is used regularly. Hencethe home has no formal dining room, hallways, or guest rooms. The master bedroom suite adjoins the front entrance. Sliding pocket doors serve to conceal the suite from the rest of the house, and its location toward one end of the home affords privacy and convenience. There is no need for a hallway leading to this area. A walk-in closet and bath with a large shower and Jacuzzi tub complement the suite. All fixtures are energy-efficient and environmentally friendly. The balcony off the master suite offers a spectacular view of the lake and wooded setting. Teak planking and custom iron railings produce a clean and contemporary air to this terrace. Timberlake Metal Works designed and built the railings and the spiral staircases to exact specifications, including an iron and poplar wood spiral staircase leading from the master bedroom to a spacious lower-level office. The fixtures, from Lisa Moorefield at Timberlake Lighting of Lynchburg, are unusual and suit the property to perfection. A massive fan keeps air circulating in the great room and an unusual chandelier with hand-blown globes illuminates the entrance. The carpets throughout the house are commercial and easy to care for. The colors pick up the natural hues of pink, purple, plum and grey in the exterior stonework. In this home the great room is appropriately named. With ceilings extending over twenty feet, and exposed supporting trusses and massive windows extending upwards, this room has a hallowed air. A small woodstove provides extra heat on cold days. 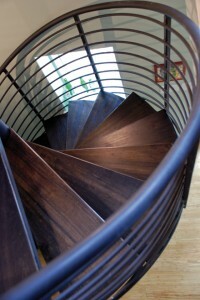 While it is designed for its super efficiency and ability to burn clean, its simple lines add to the grace of the room. Alberene soapstone on the floor and behind the stove protects the area from the heat and adds another design element to the area. White veins run through a virtually black stone, creating a design reminiscent of the nearby mountains. The kitchen area is the hub of the house. It is a paradigm of convenience and practicality. Situated directly off the great room, it is defined by its porcelain tile floor. The kitchen includes not only a cook’s dream space for food preparation but also a large walk-in pantry, a laundry and mudroom, plus a well-planned workroom that is used as a small office and project room. Reminiscent of a school lab, it is outfitted with high counters, a sink and a large center table. Here projects can be started and left undisturbed. As busy as this room can be, the kitchen remains uncluttered. 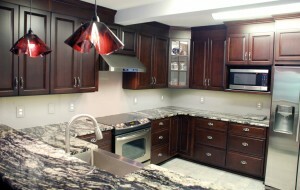 Scotts Cabinetry designed all of the units throughout the house and Spectrum Stone Designs did the countertops. 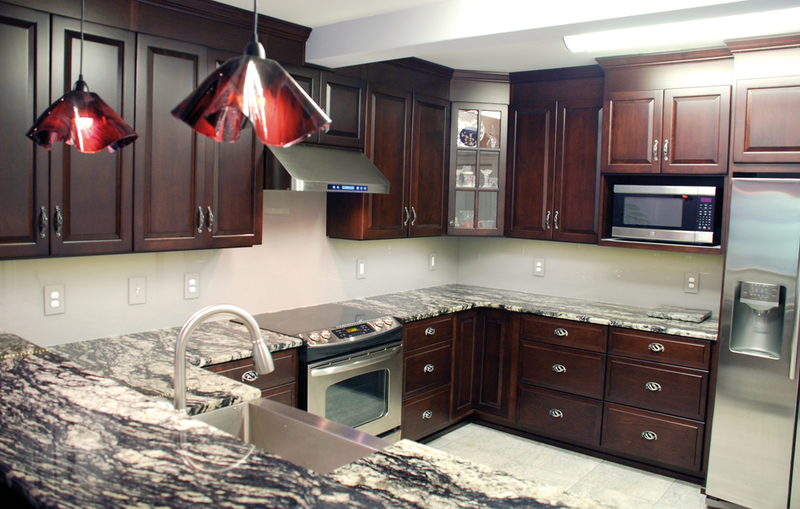 With a coffee drawer and appliance garage, the kitchen cabinets are designed to hide all of the much-used appliances. Outlets and strips of LED lights are concealed beneath the cabinetry. Two cupboards house returns for the heating system, and one opens into a small dumbwaiter that drops to the apartment below. Everything has its place and it can all be neatly stowed away. An unusual backsplash made of glass is a product called Dream Wall Colored Glass, installed by Cooke’s Glass. It is easy to clean and works well in the kitchen area. The children’s wing is a youngster’s dream come true. Bunk beds, a great lakeside view and ample work and play space make this area a great children’s hideaway. A climbing wall leads to a small loft where the only way in is to scramble straight up. And a secret door leads to a ladder that ascends to another loft overlooking the great room. Another staircase off the great room leads to the lower level. LED lights brighten every step and create a safe walkway. The lower level provides access to the in-law apartment, woodshop, garage and utility room which houses the internal workings of the house plus a generator. Controls for back-up power, the electrical system, plumbing and heating are confined to this area, creating the nerve center for the entire house. A complete apartment includes a full kitchen and pantry, living room, bedroom, elegant bath and an outdoor terrace overlooking the lake. Very private yet accessible from the main house or from the outdoor terrace, the suite is a stylish and very comfortable living area for an extended family. With no wasted space, its energy- efficiency and its beautiful location among a stand of stately oaks, this contemporary home is well suited to today’s lifestyle where simplicity and efficiency are key elements of living. 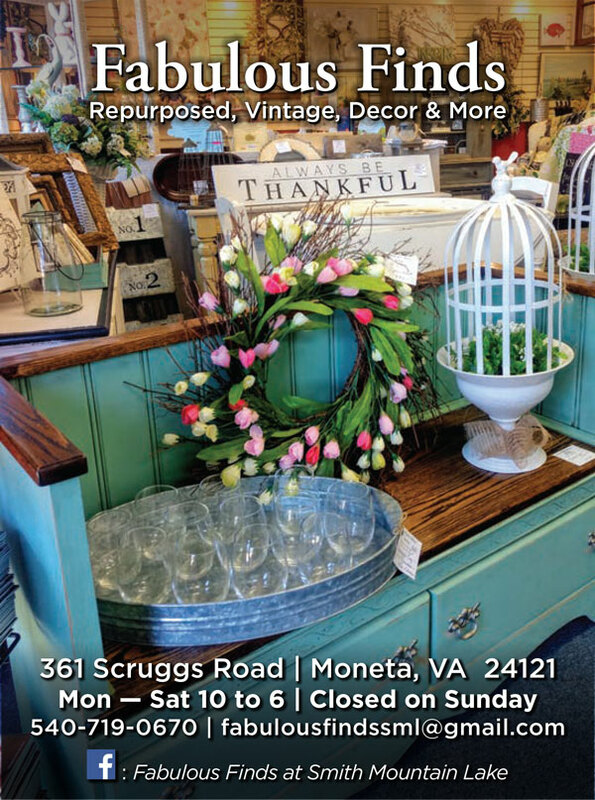 Next Post: Hot For Spring: How Will Your Home Wear Spring’s Top Colors?